Just Eat is the world’s leading marketplace for online food ordering. They set up shop in 13 countries and recruited over 60,000 restaurants along the way. Today, they have over 15 million hungry members worldwide. 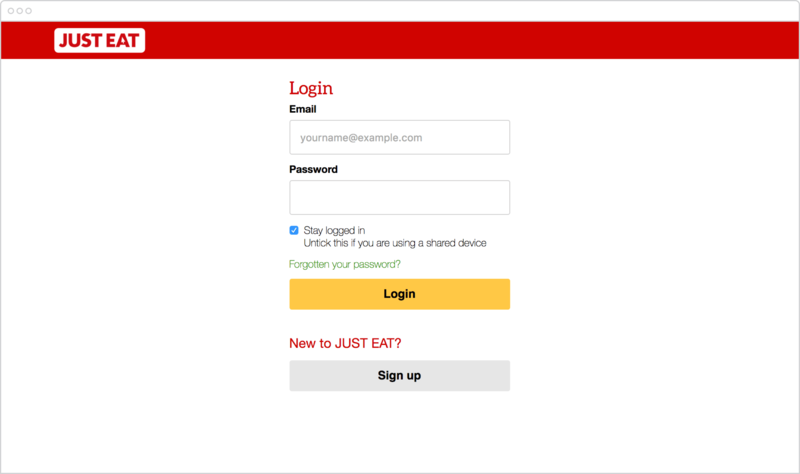 With the rise of mobile and consumers accessing websites on many different devices and screen sizes, Just Eat needed to update their website to provide a consistent experience. The current website was not responsive and as a result, visitors from smaller screens weren’t converting as they should have been. The web experience needed to work in harmony with the native apps on iOS and Android. The current website was an old, legacy service which had numerous quirks and so the task was to update the site and retain conversion through the various journeys and funnels. Users were left confused and unable to proceed to complete some of their goals and so we had to look at streamlining and simplifying some of the steps and splitting out tasks into a simple, one thing per page solution. 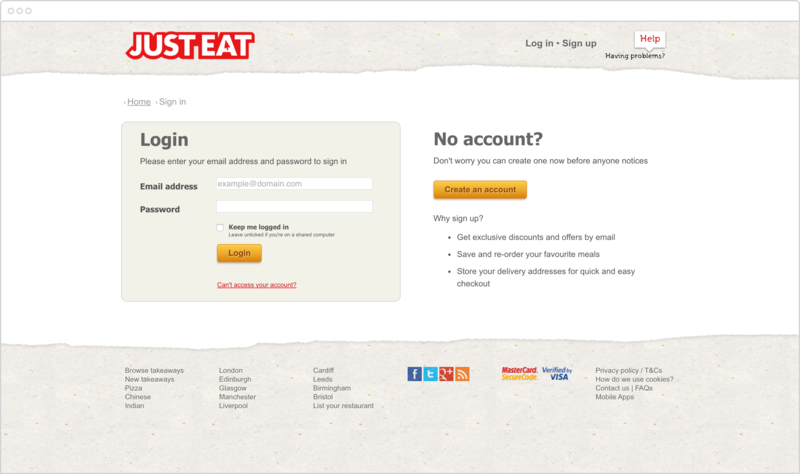 In 2014, I was a UX Lead at Just Eat, working on the consumer-facing side of the business with his team. 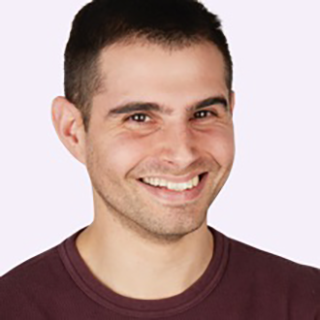 Responsible for the design and delivery of the responsive web across mobile, tablet and laptop/desktop devices. Managing and working with another UX Designer and a Front-end engineer, we broke the design tasks we had to carry out into smaller, achievable chunks. This helped us to focus on the experience as a whole, whilst retaining a clear set of places we had to make sure still converted. This approach gave us a better opportunity to take care of the details along the way as we had lowered cognitive overload for ourselves. The checkout process was one of the specific focuses of the project. It was important to make sure that we didn’t harm, and therefore decrease conversion at this point. The changes we were looking to make were logical and simple for both the user and for us. 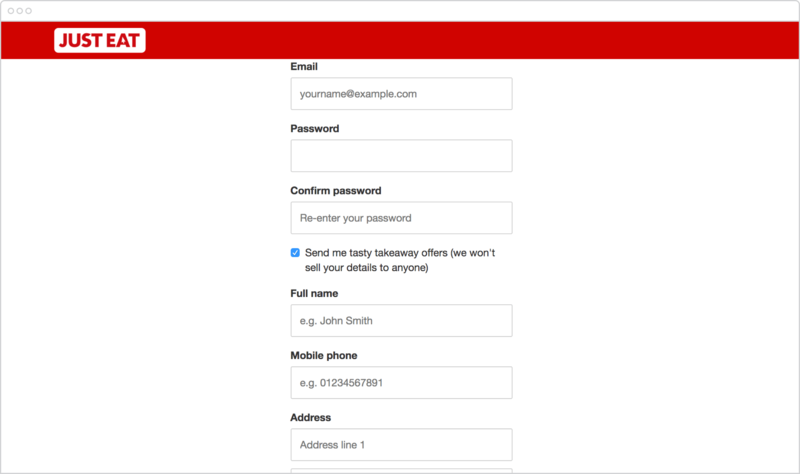 The current flow included the Login, Sign up, Basket and Delivery time forms all on one page. This confused users to no end. By moving these four separate steps into different stages of the same funnel, we were able to bring clarity to the journey to make sure the user knew what was happening, and what was next. This lowered cognitive load massively and tested well with users in our usability testing sessions. We delivered the new responsive website along with the front-end team, with a collaborative approach. User needs were met by teaming up with the UX research team who provided the key insights and KPIs that we needed to measure against and improve upon. The implemented design changes resulted in a ~5% increase in conversion. Whilst this may not sound huge on paper, this extra increase in conversion meant ~36,000 extra weekly orders. 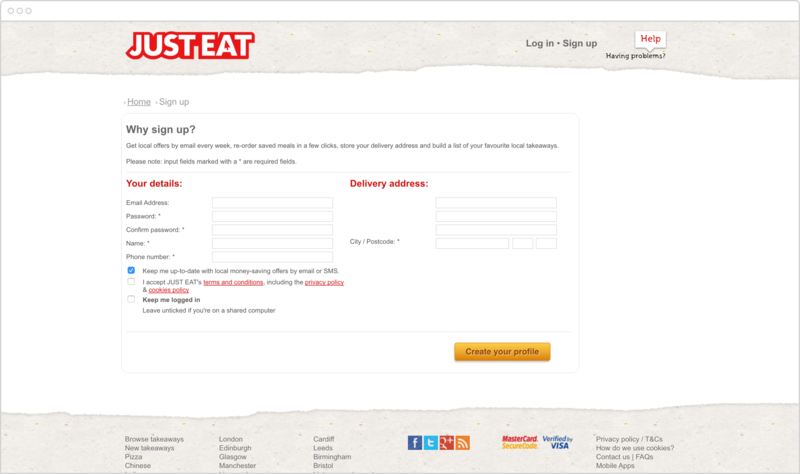 And, with an average order value of over £18+ this was a fantastic win for Just Eat through well thought-out design.